A multi-tasking woman who can balance both the stresses of running a business as an entrepreneur, and the time-consuming duties of grandmotherhood at the same time. The creator of a unique line of keepsake blankets and throws, Diane did not start out with an interest in textiles or retail. “My children and grandchildren had always loved their blankies, so I looked for prints with personality as many of the children’s blankets at that time were offered in only the standard solid pastel colors,” she explains. Unable to find such a blanket, Diane took matters into her own hands – literally. She began designing plush children’s blankets with unique touches she was always longed for and, by a stroke of luck, met a talented seamstress (“another grandmaprenuer”) who helped make the Goochie Goo Garbs brand a reality. Diane spent several years selling her collection online and to boutiques across the country before finally dropping anchor and opening a boutique of her own. Cuddles carries the complete line of Goochie Goo Garbs products, including blankets, pillows, bibs and burps that can be monogrammed and customized with different fabrics and trims. Other products include popular children’s brands Kickee Pants and Jelly Cat, plush toys, books, souvenirs and what Diane calls “momprenuer” products: products made by moms who work from their homes and sell their products online. “The momprenuer trend has been increasingly popular with the help of the internet and social media,” said Diane. “I still like to be able to touch and feel products when I shop, so I’m hoping Cuddles will provide consumers the best of both worlds.” The collection Diane is most proud of, though, is her philanthropic line of Super Garb Blankets, made possible through Goochie Goo Garbs, LLC’s partnership with Shannon Fabrics to help support Children’s Cancer Research. Cuddles by Goochie Goo Garbs, LLC, located in the La Mirada shopping center off Pinnacle Peak Road and Pima, is open Monday through Saturday from 10 a.m. to 5 p.m. You can visit their website at goochiegoo.com and find them on Facebook and Instagram. Jodi Hale is an editorial/advertising assistant for North Phoenix Family Magazine as well as a freelance writer. The mother of three amazing boys ages 7, 12 and 14, she has served on the PTA board of their school for more than 7 years, collaborating with teachers, staff and community members to enrich the learning environment for all students through positive and engaging educational experiences. 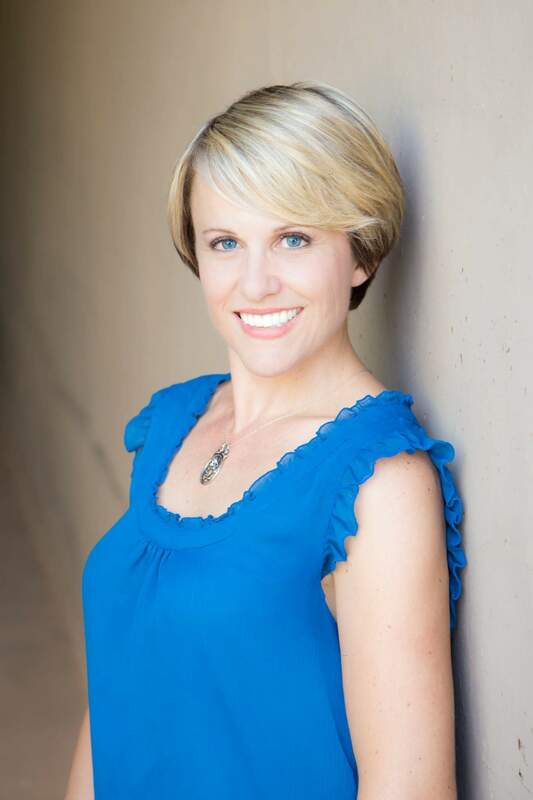 Jodi also volunteers as a public relations specialist for Musical Theatre of Anthem, promoting the theater’s year-round training opportunities and award-winning productions. She loves reading, free-hand drawing, creating props, and raising her boys to embrace life with purpose.